Power, 106, Los Angeles R U Down? Every show need a signature feature. Its defining moment. The one thing it does that forces audience to turn the show on because it’s habitual. You’re better off, as a strategy, if you do this feature more often. 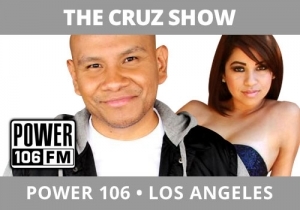 Which is why The Cruz Show, Power 106, Los Angeles, does R U Down, its version of the highly rated prank call, every hour on the tens. Shows tend to get very nervous airing a bit like this so often, but remember two important things: PPM is about occasions and occasions are usually tied to creating appointments. Also, listeners come to the show and stay for just a few minutes – so the tactic of doing a signature feature once an hour will rarely work against you if it’s that entertaining. The other thing to consider is to figure out your most unique, highly entertaining benchmark, and worry about burning it in, instead of being worried about burning it out. Build appointments in your show and you’ll tend to get more occasions – central to a winning recipe.